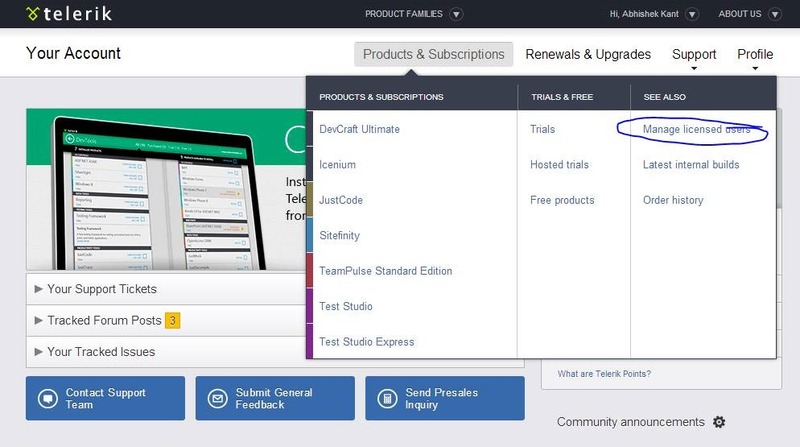 Allows them to raise support tickets to Telerik on their own. This is managed support from the Telerik team. This support is different from posting your query on Telerik forums, stackoverflow or on social media. It is fully managed by our dedicated support team. To us the billing information is license holder. He/she is one responsible for making the payment to Telerik. The invoice generated for the payment due is sent to the billing contact alias. The email alias provided in the shipping information is the address where the license activation mail is sent. If you want both billing and shipping information can be made the same. 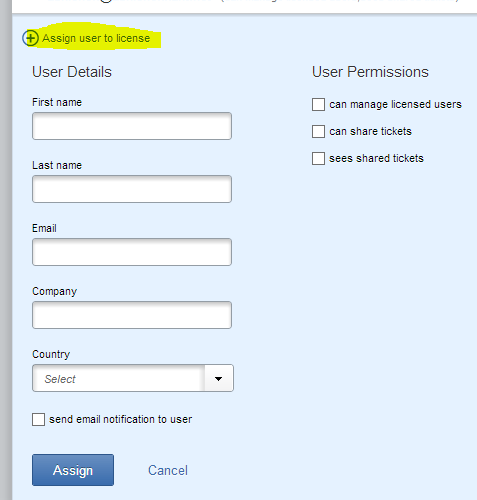 In this view, you are able to see the users to whom the licenses have been assigned and their permissions. Please pay close attention to the “User Permissions” section. You don’t want to provide the “can manage licensed users” permission to any developer. 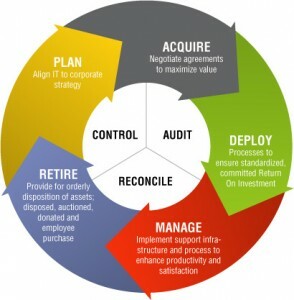 With this permission they will acquire the right to further assign the license to another person making software asset management more difficult. Please do select the “send email notification to user” checkbox so that the developer is notified of the license assignment. 6. On clicking “Assign” button, an email is sent to the developer added with his account activation instructions. 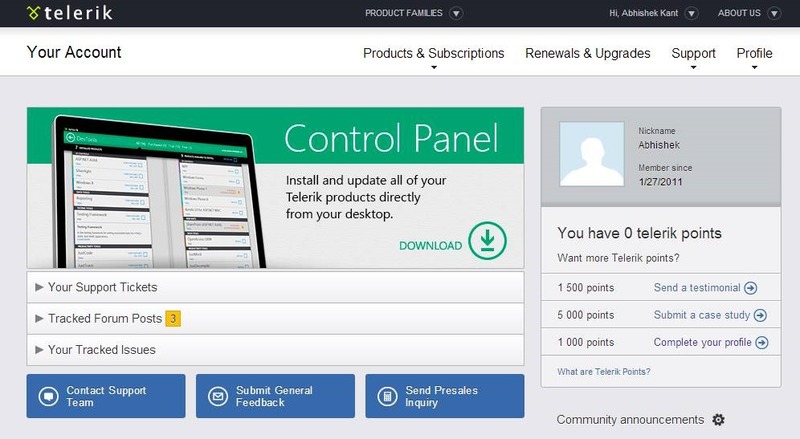 After this the developer is able to login to Telerik.com to raise support tickets and download the product updates etc. There may be times, when you want to revoke a license from a user and reassign it someone else. The screens used are the same as above. But now, you first delete the user that is currently assigned to and then add the new user. The user that is removed will need to uninstall the specific Telerik tool from their machine to avoid mis-licensing. If you need any further help on managing your licenses more efficiently, you can always reach us on our contact nos. located across the world. The one in India is located in the New Delhi area (specifically in Gurgaon). Now that you know how to support your developers better with their queries, here is how to raise that support ticket on Telerik.